The Wildcat Cross Country running team represented NVC at the Fiesta Flambeau parade, running in front of 500,000 plus parade spectators. The run was the start of the parade and ran through the streets of downtown San Antonio. 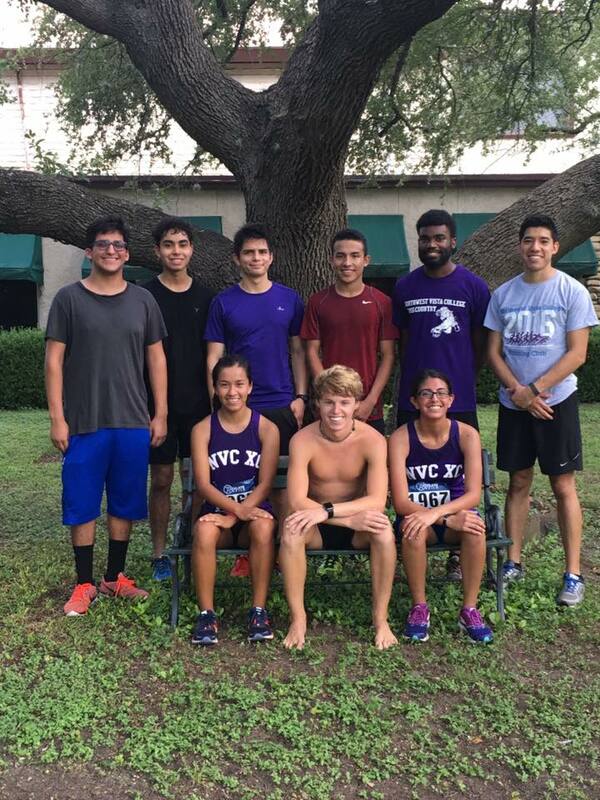 NVC was represented by eight runners. 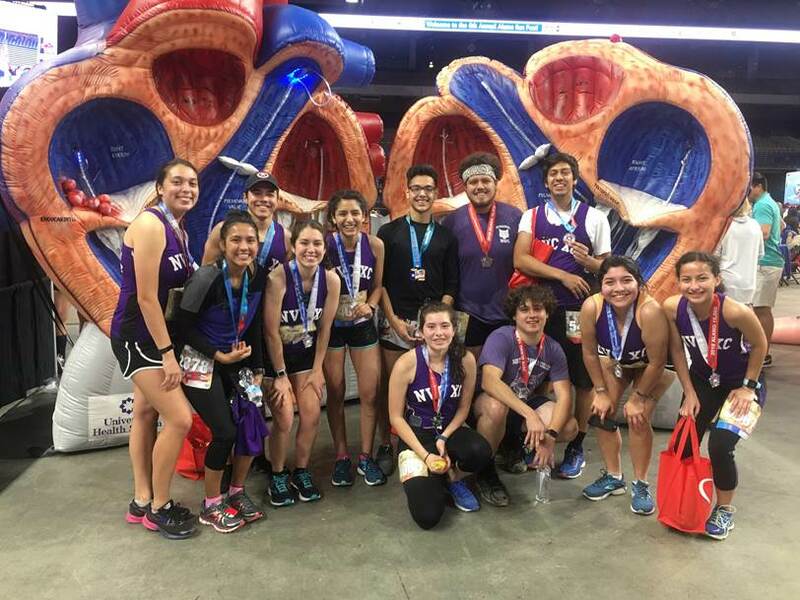 Omar Martinez finished first for the wildcats, then Briana Salazar, Rebecca Castor, Linda Castro, Robert Dreamkowski and Anna Alfaro finished together, followed by Natalie Guerra and finishing up for the Wildcats was Andrea Vazquez. The team raced really well! Now we start preparing for the last race of the season, District 4 Heroes 5K! 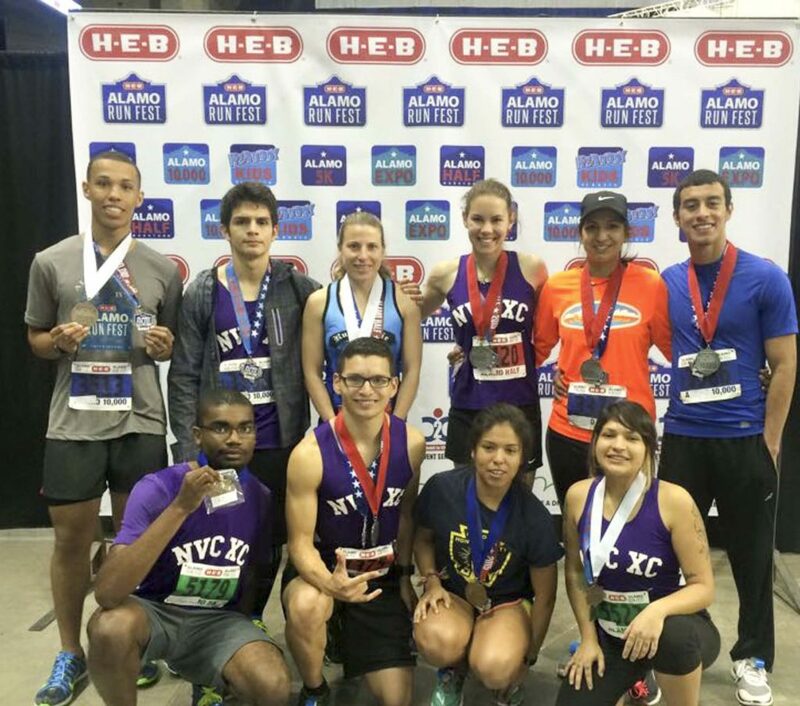 The NVC running team took on the H-E-B Alamo Runfest this past weekend – racing with 3000-plus other runners! Jason Hunt was the first finisher, finishing in just under 1 hour and 42 minutes. He was third in his age group, 58th overall male out of almost 500 and 65th overall runners out of 1000 runners! Omar Martinez followed closely behind, finishing in 1:42:26. He was 4th in his age group, 62nd overall male and 69th overall. The lone female runner for the Wildcats was Briana Saldana! She finished in under two hours, at 1 hour and 55 minutes. She was fourth in her age group, 56th out of 500 female runners and 218th overall! Rebecca Castor was the Wildcats first finisher, finishing with a time of 51 minutes and 05 seconds. She was second in her age group, 12th overall female, and 47th overall out of 571 10k runners! Linda Cabada was next placing 3rd in her age group with a time of 53 minutes, 23rd overall women and 71st overall! Anna Alfaro was 3rd for the team, finishing well under 1hour, 4th in her age group and 38th overall female. Beth Martinez came in three seconds behind Anna, placing second in her age group, 39th overall women and 97th overall. Rounding out the 10k finishers were Robert Dreamkowski, Matthew Vasquez, Natalie Guevara, and Andrea Vazquez, all placing in the top half of 10k finishers. Ryan Gutierrez was the only runner for the Wildcats, finishing 10th in his age group, 56th overall male and 71st out of 541 5k runners. It was a great day to run and the Wildcats raced really well! Now the team starts preparing for the Fiesta Fandango 2.6-mile run where NVC will be represented in the Fiesta Fandango parade! For the second time in two years, the NVC men’s soccer team went undefeated! The team finished with 5 Wins 1 Draw and 0 Losses. Hector Sandoval, Captain of the team, was voted MVP for the second time. He will be transferring to UTSA in the fall. Coach David Galindo said he’s very proud of the team, and they will reconvene in mid-August for preseason camp and tryouts that will take place during the first week of school. You can follow the team on their Facebook page at www.facebook.com/nvcsoccer/ or their Instagram account at NVCSoccer. This past weekend, two club sports team competed in the Texas Collegiate Club Sports league final four championship games. On Saturday, the NVC volleyball team lost the semi-final game to the eventual league champions, Trinity University. NVC Student Gabriella R. Burnett was selected as the league MVP for the 2016 – 2017 season, and NVC Coach Annette Berain was selected as Coach of the Year. On Saturday afternoon, the NVC women’s basketball team won their semi-final game vs Palo Alto College and advanced to the championship game. On Sunday, the NVC women lost a hard-fought championship game to Victoria College. NVC Coach Daniel Johnson was selected as Coach of the Year for the second year in a row. The team ended its season with 17 wins and three losses. 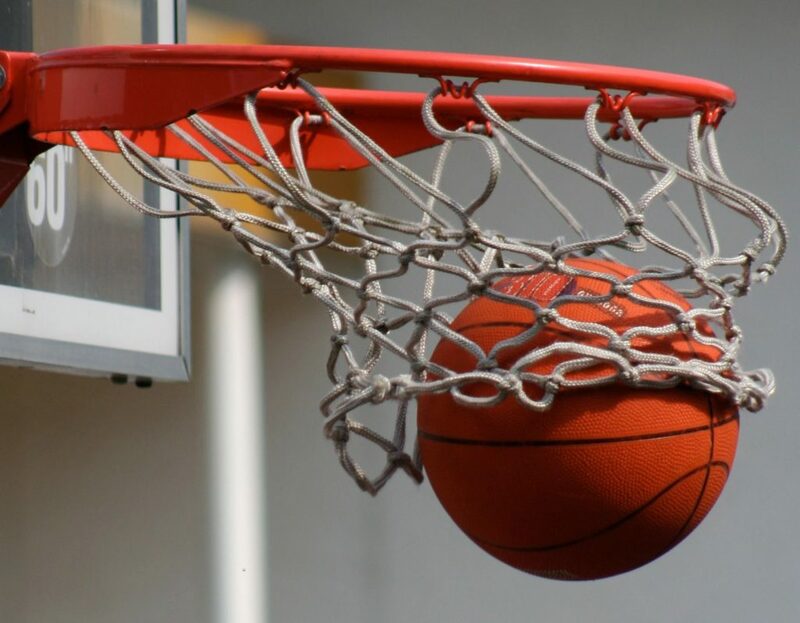 The NVC men’s basketball team, coached by Curtis McGlown, ended its season with 10 wins and 9 losses and was unable to make the league playoffs. In NVC soccer news, the women’s soccer team, coached by Leland Hammonds, was in Corpus Christi last Saturday and played Stephen F. Austin that ended in a draw (0-0). The NVC team defeated A&M Corpus Christi 5-0. So far this season, they have four wins and one tie. The NVC men’s soccer team, coached by David Galindo, finished its season with a record of three wins, one loss and one draw. The only defeat came at the hands of UT-Austin in Austin. Before that loss, the team was undefeated in 11 straight matches dating back to last season. This season’s MVP award will be going to Hector Sandoval. The team will start up again with a pre-season camp in August which is open to all prospective players and mandatory for returners. This season was good preparation for the coming fall season in the Texas Collegiate Soccer League, which will provide the first opportunity to qualify for the regional tournament and compete against not only teams throughout the state but throughout the south region. Congratulations to all the players and coaches for all their dedication and hard work in the classrooms and on the court. The Northwest Vista Cross Country team ran in the Battle of HILLotes this past weekend. It started off a little cold but was great running weather. The course was definitely a battle of Hills for the Half Marathoners and 10k runners. Again Northwest vista College was very well represented by an amazing team, that did fantastic. All 11 athletes that ran placed overall or in their age group. There were several teams participating in the race with about 1,000 participants overall, but none had as many members as we did on the podium. On Wednesday, Oct 19, the NVC’s men’s and women’s basketball teams traveled to Victoria to play Victoria College in Southeast, Texas. The Victoria Pirates – the women’s league defending champions – came out immediately with a full-court zone trap that netted them the first six points of the game. NVC Coach Daniel Johnson called a time out to settle his team down and provided a game plan to beat the trap. After the time out, the Wildcat women came out clawing and scratching to tie the score. Afterwards, the cats came out with a full-court, man-to-man trap that caused numerous turnovers and a 74-63 win for Vista. The Vista men are the back-to-back league champions and have been beating teams down for the last two years. However, this year with only two returning players and other teams getting hyped to play against our men, the new players have not quite found their flow or how to adjust to very competitive teams in the league. The first half of the game was very aggressive and exciting basketball as both teams had small leads only to lose the lead due to better defense. At the half, NVC was down by only four points, 36-32. At the start of the second half, Victoria came out and hit four baskets in a row and Vista was never able to recover with missed free throws. The final score was Victoria 90, NVC 82. The next game for both teams is at Northwest Vista College Huisache Gym vs the University of the Incarnate Word. The women play at 6pm an the men’s team play at 8 pm. The NVC’s women volleyball team played its first game on Oct. 20 at the Huisache gym vs. San Antonio College. After a few nervous serves and losing the first set in front of a huge crowd, the Lady Wildcats relaxed and played with a lot more intensity – winning three straight sets out of five in less than an hour. The NVC women’s volleyball team plays again on Oct. 27 at the NVC Huisache gym against St. Philip’s College. 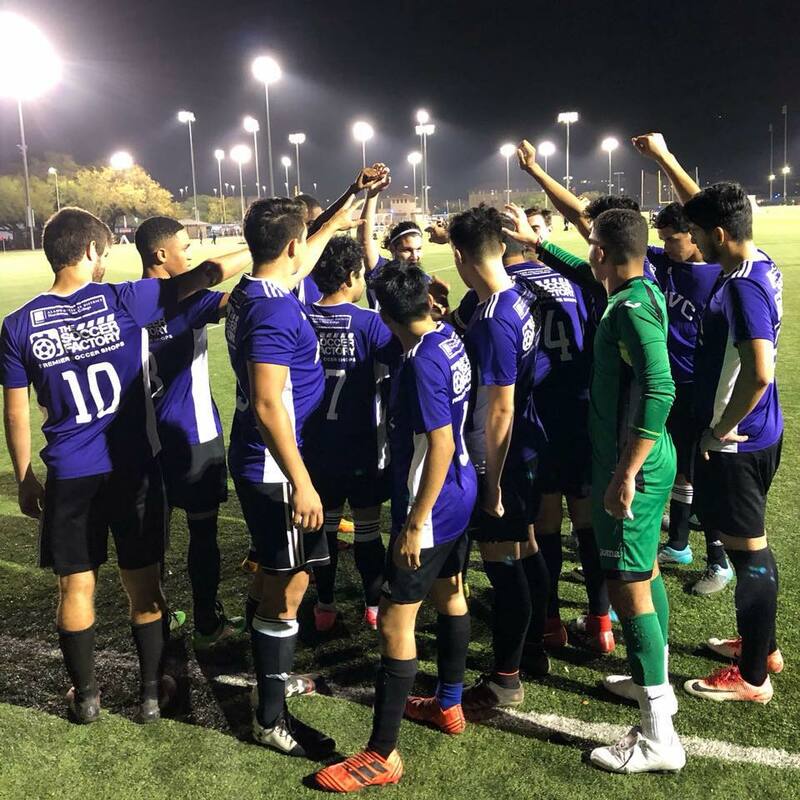 Northwest Vista College’s club sports programs are off to a good start – stomping much of the competition coming their way. 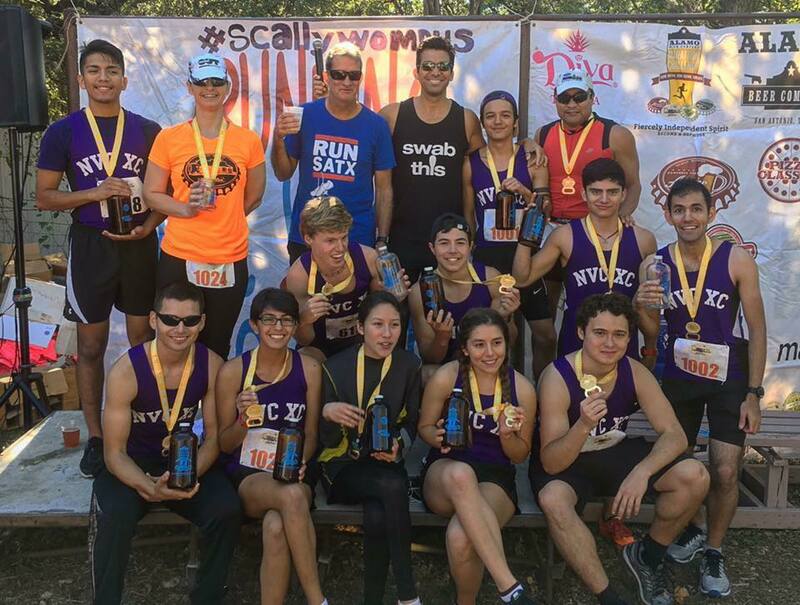 The Northwest Vista Cross Country team had a great Oct. 1 weekend at the SWTJC Cross Country Meet in Uvalde. The men and women both ran a 5K course and both teams came in second place behind Texas Lutheran University. On the men’s side, coming in first for the NVC Wildcats was Sergio Luero – he was 9th overall. Following close behind him was Freshman Nelson Villa in 10th and Freshman Rudy Orozco in 11th place. Aaron Beattie and Micah Florence were the final points earners for the team coming in 21st and 23rd, respectively. Aidan Garza and Jason Hunt were right behind in 24th and 25th. Rounding out the strong showing was Jorge Aguilar in 31st, Husam Al-Samti in 33rd and David Allen in 34th. On the women’s side, every runner counted towards the point as the team only had five runners. Karla Presa finished strong with a third place finish, breaking up a perfect score by TLU. Zoey Viera and Yaritza Sandoval were in the top 10 in the field, finishing 8th and 9th. Abigail Arredondo and Gabby Urrabazo round out a strong showing by the women, finishing in 15th and 16th. The Wildcat Cross Country team will travel to the University of Incarnate Word next Saturday, October 8th to finish out their college racing season. Team coach David Galino said the NVC Soccer team is currently undefeated and untied in the Texas Collegiate Soccer League D-Conference. They have an opportunity, if they continue to win, to win the team’s first conference championship. The team has defeated: the University of Houston, Texas A&M, A&M Corps of Cadets, University of Arkansas- Costatot, and Texas Tech. The Wildcats go up next against San Angelo State and Tarrant County College. Both teams play St. Philip’s College (SPC) on Oct. 5 at the Huisache Gym on campus. NVC Men 86; SPC Men 89. NVC Women 58; SPC Women 30. The two-time defending league champs, NVC Men’s team got off to a slow start while SPC came out firing five 3’s in a row. NVC battled back to tie the game in the 2nd qt. From then on, it was an exciting back and forth game. In the end, NVC’s Jhamir Trott attempted a 3pt shot hitting the back of the rim and time ran out. NVC was led by Rolando Villalobos & Taizel Cooper both with 21pts. NVC Women by the end of the first qt. had a commanding lead of 18-2 and never looked back. Ausset Culberson came off the bench to lead all scorers with 15 pts follow by Emily Castor with 12pts. The next game is Oct. 12 for both teams is at home against SAC, Women play at 6pm, Men at 8pm. On another note, the NVC men’s basketball team is trying to raise funds to get equipment to help players improve their skills. They are currently raising money for a Shoot-A-Way (https://www.gofundme.com/shooting4success) that players from the high school, collegiate and professional arenas use to become better players. The women’s volleyball team kick off their season on Oct. 20 when they face San Antonio College in the Huisache Gym. The Northwest Vista Cross Country team had a great showing at their season opener hosted by Our Lady of the Lake University. The race took place at Windcrest Golf Club with the boys running an 8K and the girls running a 5K. There was some good competition as Texas A&M Kingsville, Trinity, Incarnate Word and Sul Ross were all an attendance, to name a few schools. The Vista men’s team placed 6th place beating out Schreiner University and Sul Ross! Finishing first for the Wildcats was Freshman Nelson Vila, coming in 35th with a time of 31:32. Javier Ramirez was 43rd with a time of 33:00, Vincent Del Pino wasn’t far behind in 47th with a time 33:24, Adam Soto was 49th with a time of 35:54, Aaron Beattie was 50th with a time of 36:16, and Micah Florence was 52nd with a time of 37:25. The girls didn’t have a team but still had great finishes. Karla Presa finished in 28th with a time of 21:53 and Yaritza Sandoval was 45th with a time of 26:50. 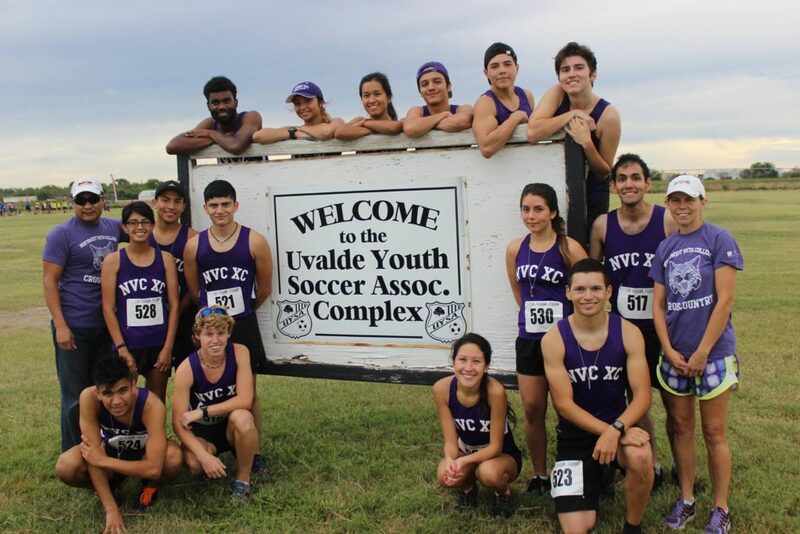 The student athletes have been training really hard for the last three weeks and can’t wait to see improvement at their next race on October 1st in Uvalde. The Northwest Vista College Distance Team had an awesome showing at the Northside Education Foundation 5K held at Sea World on May 8. The ladies had a fantastic race day, with every member placing in the top 3 in their age group. The first runner in for the ladies was Karla Presa. She was the 2nd overall female & the first in the 15-19 age category. She ran a personal best of 19:26 for the 5K. In the 20-24 age category, the Wildcats swept the field. Placing first in the age division was Vienna Garcia, second place was Lauraly Wade and third was Esther Lucio. The boys also ran really well. Adam Soto was the first male for the team. He came in 1st in the 20-24 age group, and right on his shoulder was Javier Ramirez, placing 2nd. Robert Dreamkowski was 4th in this age division and not far behind was Gilbert Rodriguez placing 8th. Aaron Beattie had an excellent run and was just one place out of placing 4th in the 15-19 age category. This was a tough category with the top two winning the overall male race. The team has one more race, held at Texas A&M San Antonio, at the end of the month before they break for the summer. 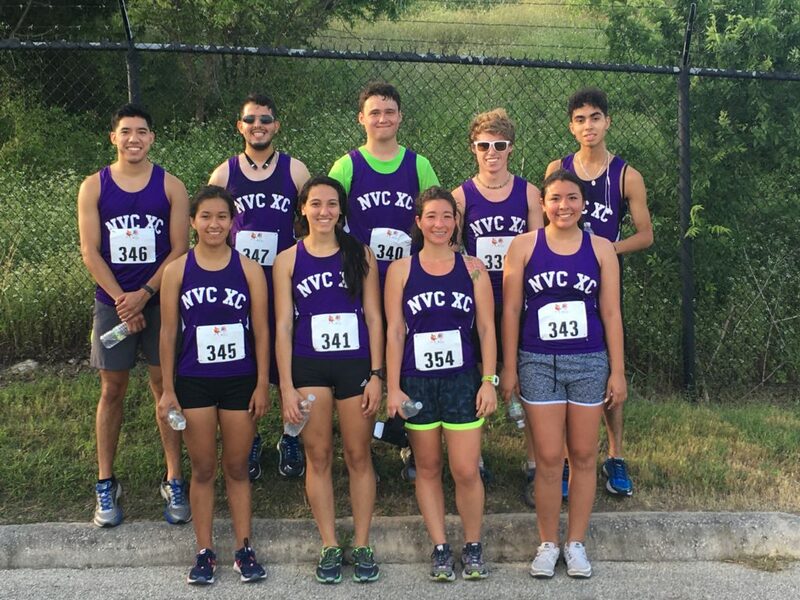 The Northwest Vista Distance Team had a busy but successful weekend as several runners competed at the University of the Incarnate Word track meet. Javier Ramirez got things going for the team running the 1500. He had an amazing finish, showing tremendous guts – starting his sprint at the 300 & keeping it through the end, passing up at least 5 runners at the end. He improved his time by 20 seconds, running a 4:37. Adam Soto and team captain,Aaron Beattie, were next competing in the 5000 race. Adam came in just under 19 minutes and Aaron followed closely behind. Micah Florence finished the 800 in 2:16 and the 400 in 56.23. Aaron ran both 5000 and 800 to get some extra training in. Robert Dreamkowski ran in his very first track meet, competing in the 100. He finished with a time of 12.56. 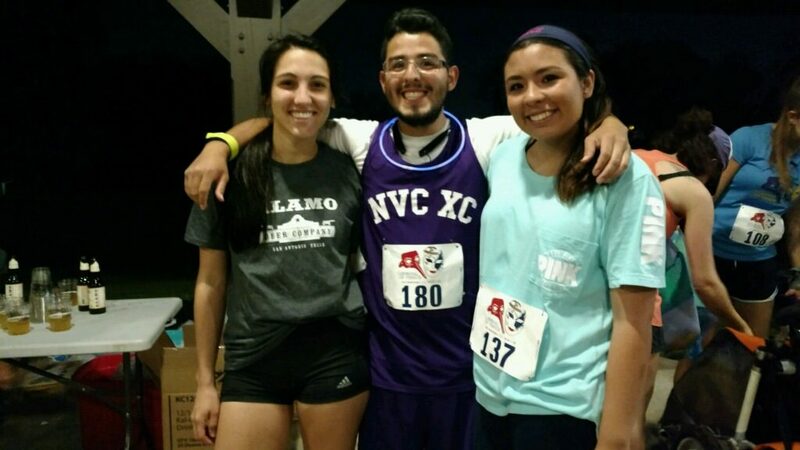 The team had three runners compete in the Carnival of Venice 5K night run. It was an interesting experience running at night with headlamps and flashlights but all the athletes said they had a lot of fun, even though their times were slower then normal. All three runners came in first in their age group. Esther Lucio finished first in the women’s under 20 age group, team captain, Vienna Garcia, finished first in the women’s 20-25 age category and Gilbert Rodriguez finished first in the men’s 20-25 age category. 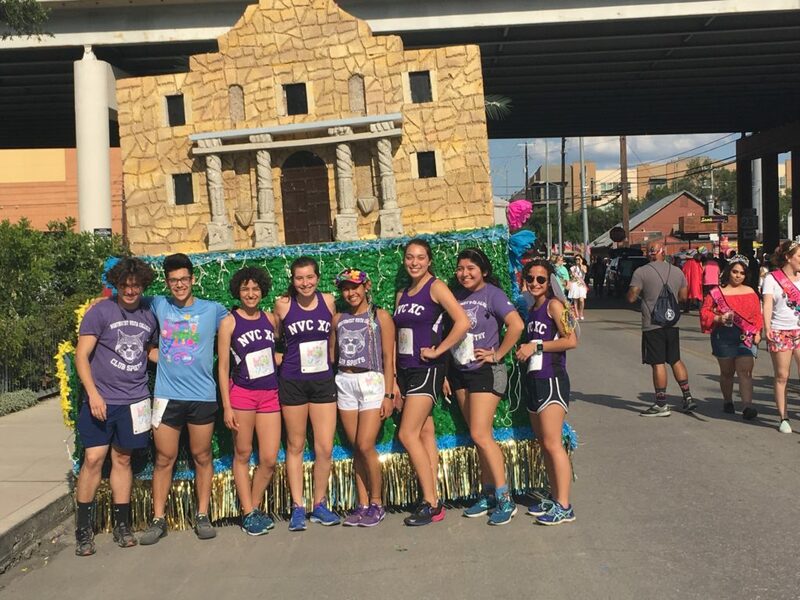 The team will compete this weekend at the Fiesta Mission 5K/10K run in downtown San Antonio. They will take a little break before their last race in May.